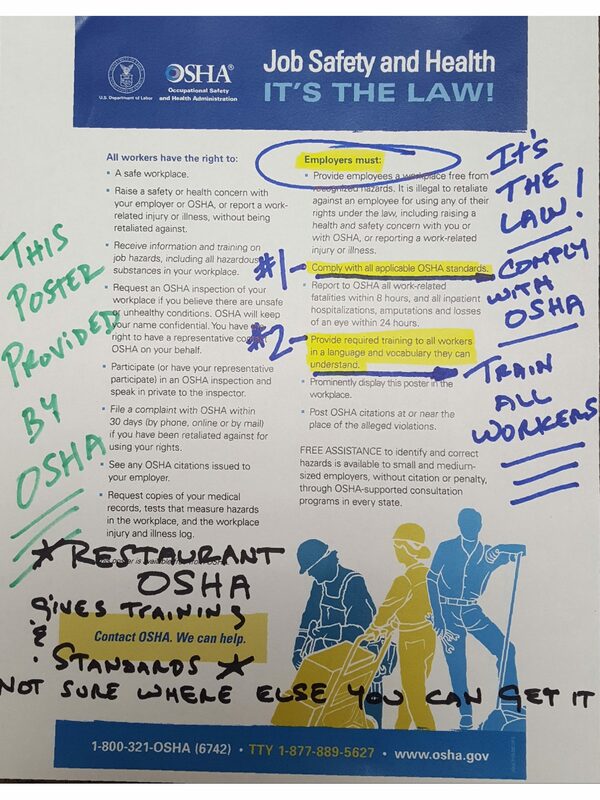 The number one question we get asked all the time is “Is it really required by law for all restaurant managers, employers and employees to comply with OSHA standards and safety rules?” The answer is absolutely YES! If anyone is telling you that OSHA is not required for restaurants, THEY ARE LYING TO YOU. Restaurant OSHA Safety and Security was created to help you easily and fully comply with OSHA standards. We love safe restaurants and genuinely care about the safety and well-being of your customers and employees.